The actor will release his first digital single 'You Who Look Like a Spring' on April 6th. A representative from his agency, MOA Entertainment, revealed, "Yoon Shiyoon's singing ability was discovered when he sang an OST of his project. He has prepared a special gift for his fans." According to the agency, 'You Who Look Like a Spring' will be a soft acoustic folk-styled song. His delicate vocals will blend with the guitar melody, which dominates the song. The song was written personally by Yoon Shiyoon and Buzz' guitarist Son Seunghee took part in the arrangement." The agency continued, "The song will be a special gift from Yoon Shiyoon special for fans in this warm spring season." 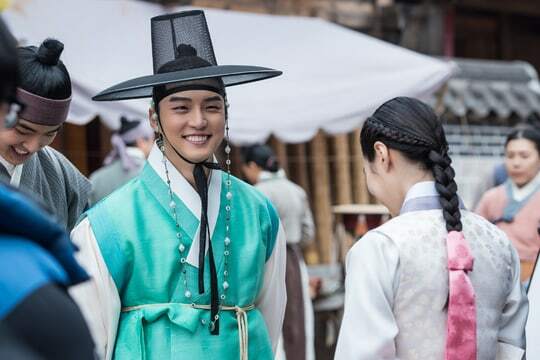 Meanwhile, Yoon Shiyoon is currently featured in TV Chosun's historical drama, 'Grand Prince,' together with Yoon Seo, Jin Seyeon, Joo Sangwook, and more.